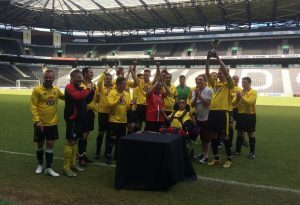 WATFORD IFC collected their first silverware since 2013 at a sunny Stadium MK yesterday, with a tournament win in the MKDSA Changing Places Challenge Cup. The 5 team tournament, organised superbly by the MK Dons team, was held to raise funds for a Changing Places facility at the stadium, which will enable disabled people who cannot use standard accessible toilets, such as those with with profound and multiple learning disabilities, motor neurone disease, multiple sclerosis, cerebral palsy, as well as older people, to enjoy matches at the stadium in comfort. In the group stages of the 11 a side tournament, WIFC met Northampton first up.. with only 25 mins for each match the emphasis was on taking chances, but the Internet ‘Orns spurned a good number, including three woodwork strikes, before Tommy Twelves smashed home a winner with 2 mins to spare. The second game against the hosts was a more comfortable affair, with an early Twelves goal and a Stu Nicholls penalty securing a second win. A stout defensive display saw a goal-less draw with Stevenage secured in the third game, with keeper Neil Hall in commanding form and while Twelves and Mark O’Connor both missed chances to make the final group game academic, the feeling in the camp was positive going into the last group game against Crawley needing a point to confirm a place in the final. WIFC duly took all three thanks to a fine 15th goal of the season from Mark O’Connor. The final saw a re-match with Crawley, who had battled to the final with 11 men standing. Charlie Wood, back from 4 months travelling, opened the scoring with Twelves adding a second. All looked on course until Crawley finally punctured the Internet ‘Orns tournament clean sheet with 10 minutes to play, but any thoughts of a comeback were ended by Twelves straight from the re-start. With Crawley tiring and WIFC able to bring on fresh legs, O’Connor and Ben Kelly gave the scoreline a flattering hue with a goal apiece. Squad: Neil Hall; Matt Ainsley, Ally Hill, John Sitkowski, David Sitkowski, Warren White, Stuart Nicholls (C), Matt Ball, Dave Messenger; Richard Murphy, Ben Kelly, Tom Davison, John Machin, Vince Machin, Charlie Wood; Tom Beck, Tommy Twelves, Mark O’Connor, Marc Duffy. A TYPICALLY pulsating encounter with old adversaries West Ham ended in a 3-3 draw for Watford IFC at a blustery Woodside, as Matt Ainsley marked his 44th birthday by skippering the Internet ‘Orns. The Irons started much the brighter and deservedly took the game by the scruff of the neck with two goals inside the first 25 minutes. It left Watford facing an uphill task yet – spurred on by the combative central midfield duo of Derek Payne and James Jenkins – they weren’t about to accept their fate. That said, it was the Hammers who gifted the Hornets a lifeline when an innocuous back-pass bobbled over the visiting keeper’s swipe and dribbled apologetically into the bottom corner of the West Ham net. Just 2-1 down at half-time gave the hosts hope, but another sluggish start to a half cost Watford a third goal against and an uphill battle looked firmly on the cards – both mentally and literally, working their way up the Woodside slope. But battle back they did, with player-manager Richard Walker combining to good effect up front with Mark O’Connor to push the Hammers back and earn some territorial advantage – and fellow subs Adam Gallichan and Lamar St-Cyr providing much-needed impetus. The pressure told on 70 minutes when Walker curled a delightful strike up over the wall and inside the near post from a 20-yard free-kick. The goal of the game came eight minutes later when Jenkins burst forward from midfield, exchanged a one-two with O’Connor, then stabbed the ball past the outrushing goalkeeper. A couple of late opportunities could have sent the win either way but both sides shook hands on a hard-fought and worthy draw. David Morren was in fine form at left-back, however he was pipped to the man-of-the-match award by Payne; the absence of the MoM Onesie denying him the chance to perform co-commentary duties at Vicarage Road in the XXL outfit. Team: Tom Beck; Matt Ainsley (c), Stuart Holdham, Stuart Nicholls, Dave Morren; Ed Sterry, Derek Payne, James Jenkins, Max Walters; Lee Stiles, Joel Moody. Subs: Lamar St-Cyr, Phil McBride, Adam Gallichan, Mark O’Connor, Richard Walker. 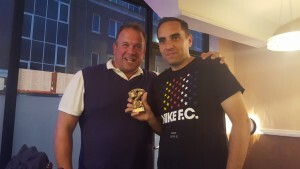 THE Internet ‘Orns edged out their counterparts from Coventry by two goals to one after one of the most keenly-fought and enjoyable IFA matches for many a month. City started much the brighter and would’ve punished Watford for their sloth had it not been for the first few of a string of outstanding saves from Hornets’ man-of-the-match, goalkeeper Kristian Melson. Against the run of play at Woodside, the hosts were ahead thanks to an piece of skill from the unlikely source, Andy Myall. Finding himself in possession at the left-hand corner of the Sky Blues’ penalty area, he nutmegged his marker before curling a cross with the outside of his right foot to the far post where Adam Gallichan slid in to volley home his first goal for the club from close-range. Benefiting from debutant Derek Payne’s influence in central midfield, Watford were the better side for the first 30 minutes of the second period, during which they doubled their advantage when player-manager Richard Walker floated an inch-perfect cross into the box for Dave Soloway to nudge home with his shin. Payne’s fellow debutant Phil Myall had the chance to put the game out of sight but, after a great save saw Adam Gallichan’s volley pushed onto the crossbar, he could only nod a golden chance wide of the mark. Coventry rallied gamely and pulled a goal back with eight minutes remaining – setting up a nervy rear-guard action from the Internet ‘Orns, capped in the game’s final minute when Melson plunged smartly at his near post to deny the Sky Blues an equaliser. Team: Kristian Melson; Ed Sterry, Ben Bateman, Ally Hill (c), Matt Ainsley; Max Walters, Stuart Holdham, Derek Payne, Andy Myall; Dave Soloway, Phil Myall. Subs: Liam McGarry, Lee Stiles, Richard Walker. AFTER a 4 week hiatus, WIFC continue their good start to the IFA season by recording a 4th win in 5 games on Saturday at Woodside against AFC Wimbledon. In what was a scrappy affair throughout, early chances were at a premium and it took around 30 minutes for the deadlock to be broken when Mark O’Connor scored following some penalty box pinball and a blocked Stuart Oldham shot. O’Connor soon made it 2 and 4 for the season when his powerful shot took a slight deflection past the visiting keeper. Playing with the slope in the second period, WIFC started to control the game better and a 3rd goal was the least they deserved, Charlie Wood finishing after good work from Ben Pegram. The Internet ‘Orns saved the best for last when Richard Murphy celebrated the recent arrival of daughter Lila with his 3rd of the season after some intricate passing from Wood and the returning Joel Moody. There was still time for Kristian Melson to make two excellent late saves to earn his first clean sheet for the club and complete a comfortable home win. Team. 4-4-2, R to L. Kristian Melson; Ed Sterry, Dan Butterick, Ben Bateman, Ben Pegram; Richard Murphy, Adam Gallichan, Stuart Holdham, Joel Moody; Charlie Wood, Mark O’Connor. Subs James Jenkins & Max Walters. WIFC set up a six point Saturday with a third straight league win over West Ham on a bright but windy Saturday morning in Hackney. The visitors went into this fixture knowing that West Ham would be looking to atone for last season’s results and started on the front foot. Having seen the majority of the ball in the opening stages, a couple of early spurned chances were soon forgotten when Richard Murphy opened the scoring through a cross come shot looped over the players inside the box and the keeper and nestled into the net. Mark O’Connor, who scored 5 in the corresponding fixture last season, also started the game well and the Watford youngster soon doubled the advantage with a tidy finish from just inside the box, finishing low and hard away from the keeper. The home defence was then breached a third time, with Stuart Nicholls notching his 6th goal of the season from close range following a sloppy West Ham clearance from a corner. The Internet ‘Orns made it 4 before half time when the West Ham defence again failed to contain O’Connor, who was upended inside the area. Last season’s leading scorer picked himself up to take the kick, which was confidently dispatched for his second of the game and season. The second half saw the swapping of goalkeepers with Ally Hill going between the sticks for the second 45 against a strong wind and worsening conditions, following an unselfish but collected first half in goal from Steve Eustice. West Ham started the half strongly, as the visitors struggled to contain and manage a change in formation, which lead to a flurry of chances. 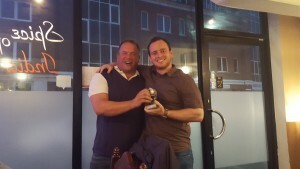 Man of the match Hill was equal to the task and produced a string of impressive, albeit camera worthy saves. West Ham eventually pulled one back with 25 minutes to play, which was no less than they deserved following a long ball that was not properly dealt with by the Watford defence and a calm finish through the legs of Hill. Any thought’s of a comeback were curtailed by WIFC’s 5th and final goal of the game, when Ben Pegram collected the ball 30 yards from goal and with a big assist from the wind deceived the keeper with a curling lob with 15 minutes to go. So a 3rd win in 4 from the start of the season, and an ideal platform for forthcoming cup matches against Crawley and Preston. Watford IFCs first home game of 2016/17 took place on a gloriously hot and sunny Saturday morning at Parmiters School. Coming off the back of an opening day win at Southampton, the Internet ‘Orns were instructed to keep the ball on the floor and pass to feet throughout the game after a lack of height and speed were identified in the pre match team talk by management. Stuart Nicholls got the home side off to a flier as they raced into a 3-0 lead within the first 15 minutes. Nicholls’ first was a neat volley from 5 yards from a Cleveland Brandy cross, then minutes later he collected a ball from Man of the match Ben Kelly and stroked the ball into the bottom corner from 20 yards. Nicholls then rounded off his second treble for the club from close range, following a defensive mishap. The first half continued with WIFC pressing and hitting the post on 2 occasions through Nicholls and Charlie Wood. A lapse in defence then allowed Cambridge to score as a poor goal kick was followed a misplaced pass out of defence and minutes later an own goal from keeper Tom Beck reduced the deficit further. The end of the first half was frenetic with the visitors seizing the initiative and pushing for an equaliser. For all their pressing this didn’t happen and the 2 goal advantage was restored when Kelly ran half the length of the pitch before smashing home from the angle inside the box. A reshuffle of personnel gave WIFC joy down the wings with both fullbacks pushing up and joining attacks as the second half got underway. Wood was the beneficiary of such play and finished his second goal of the new season from close range following good work from Richard Murphy and Ed Sterry, in his 100th appearance for the club. A sixth came soon after, converted by John Sitowski who got the final touch off a drive from Murphy following penalty box pin ball for his second goal for the club. Nicholls then added his 4th and beat his tally for last season inside a game. After chasing down Cambridge’s tiring defence, his resulting cross to Wood was blocked and he duly slotted home the rebound. The goal of the game was left until last when Dave Sitowski, playing higher up the pitch than his usual defensive berth, collected a cross from deep and smashed home from the edge of the box with the outside of the foot. In the end, a convincing win for the Internet ‘Orns and a 100% start to take into tough away games at Stevenage and West Ham. There was also a welcome return for Matt Ladell after more than a year out through injury and a promising debut for Phil Winwright. 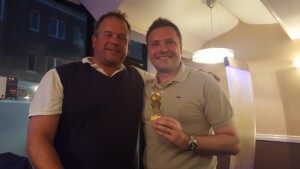 LAST Saturday evening saw the usual high jinks and singing as WIFC took over the Ali Baba curry house to dish out the 15/16 award winners. The full list of winners is below. As the Hall of Fame winner was not present, this will be announced in due course. VOTING for the 2015/16 WIFC awards is now closed and the votes have now been counted. 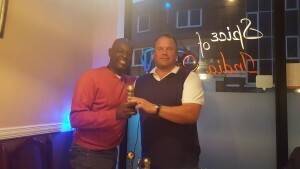 Nine different players were nominated for the coveted Players Player award, which will be dished out along with several other gongs this Saturday evening. 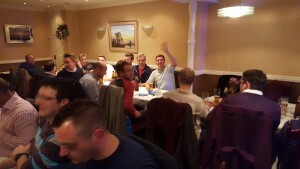 The Ali Baba curry house, the traditional venue for the WIFC awards night, are bracing themselves for another evening of food, singing and general merry making. It’s not too late to join the evening’s festivities, a thread on the Facebook group page has all the details. A full list of the nominations is below. 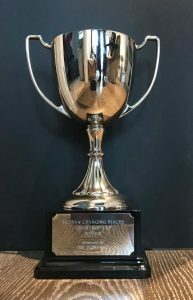 Hall of Fame (voted by those already in the hall of fame) and Managers Player of the year will also be awarded on the night. WIFC got their 2016/17 season off on the right foot with a hard working 3-2 win on the south coast on Saturday morning. Stand-in manager Dave Messenger successfully rotated a 17 man squad and every player contributed to the win against a competitive Southampton side. The visitors opened the scoring early on, as man of the match Charlie Wood collected a pass from Mark O’Connor and finished calmly. The Saints were back on terms shortly afterwards but Richard Murphy rounded the home keeper on the half hour mark to re-take the lead. After the break, Stuart Nicholls crashed home a third from a half-cleared corner, though he later put through his own net to give Southampton a lifeline. Some solid defending saw WIFC hang on for the win and complete a deserved win. Team. 4-4-2, R to L. Neil Hall; Cleveland Brandy, John Sitkowski, Ben Bateman, Matt Ainsley; Richard Murphy, Ally Hill, Charlie Wood, Lamar St Cyr; Steve Eustice, Mark O’Connor. Subs Rob Sterry, Stuart Nicholls, James Farnfield, Andrew Ibbot, Phil McBride, Tom Beck.